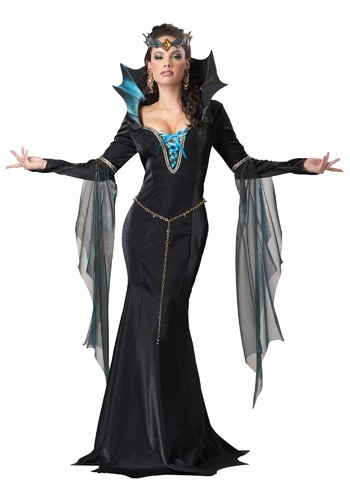 This sorceress is ready to show off her wicked ways this Halloween, and keep the town of Storybrooke under her control! Add a pair of large dangling gold earrings and black shoes for a dazzling, evil look. Check out our other storybook character costumes for a duo or group.